HomeBloghair transplantHow Can Plastic Surgeons Treat Hair Loss and Restoration? One of the most common problems in today’s world between young men and aged men is Hair loss, there is no set defined age to experience hair loss leading to Baldness. Baldness is of different types and usually happens in stages, especially when its a case of Androgenic Alopecia. Androgenic Alopecia: Pattern hair loss, known as male-pattern hair loss (MPHL) when it affects males and female-pattern hair loss (FPHL) when it affects females, is hair loss that primarily affects the top and front of the scalp [ Refer Image above]. In males, the hair loss often presents as a receding hairline, while in females, it typically presents as a thinning of the hair. Alopecia areata: It is also known as spot baldness, is a condition in which hair is lost from some or all areas of the body. Often it results in a few bald spots on the scalp, each about the size of a coin. Alopecia Universalis (AU): is a condition characterized by the complete loss of hair on the scalp and body. There are no Proven (or) Permanent and Guaranteed cure for Alopecia Areata (or) Universalis, Meanwhile for Androgenic Alopecia (MPB & FPHL) there are various ways to control Hair loss (no permanent solution) or slow the pace of baldness and also to restore lost hair (in view of appearance) with a surgical procedure wide known as Hair transplant which will give one an opportunity to have natural growing hair in the areas where natural growing (or) native hair is lost. Listed below are a few options to control / slower the rate of hair loss which is widely used in the field of Dermatology which is considered to be completely safe by most of the Dermatologists & also, Plastic Surgeon. PRP (Platelets Rich Plasma): Platelet-Rich Plasma (PRP) is processed blood plasma, a concentration of plasma with platelets from which red blood cells and white blood cells are removed. This concentration of PRP taken from the patient’s own blood is injected into the scalp to promote hair growth. Hair Re-Growth Pills: Most hair supplements contain more or less the same ingredients: Vitamin C, Biotin, Vitamin B3, and Vitamin A, all of which have been shown to be essential for hair growth. Hair Transplant: The most popular known solution for Hair loss today. It is the most commonly chosen solution by people who are already in an advanced stage of hair loss. Hair transplant is a surgical technique by which hair follicles are taken from one part of the body usually from the back of your scalp, which is called the ‘donor site’, to a bald or balding part of the body known as the ‘recipient site’, most commonly the Hairline, Vertex or the Crown area on the scalp. Hair Transplant is widely popular across the world and is used to treat male pattern baldness today. There are two widely used techniques 1. FUE (Follicular Unit Extraction) and 2. FUT (Follicular Unit Trichophytic) under which there are sub-techniques and all these techniques provides the same results. There are a very few surgeons today who individually (or) combine one or more techniques in order to extract a higher number of follicles which controls over-harvesting which usually is the case when only one technique is used. Results achieved with any technique is exactly the same and there is literally no difference in it, Any technique that is used certainly leaves scar/scars. Scars are usually never visible until unless the hair shaven (or) trimmed extremely short. In fact, there is a technique known as Trichophytic in FUT, in which hair would grow through the scars, therefore choose your technique and your Surgeon wisely. Firstly, Hair Transplant is absolutely safe, irrespective of the technique used and Yes, that means there will be no headache, Cancer or any medical issues associated with Hair Transplant. Hair Transplant is, in fact, is not only safe but also the results are Permanent if the planted follicles are extracted from the Permanent zone which is located in the back of your scalp. 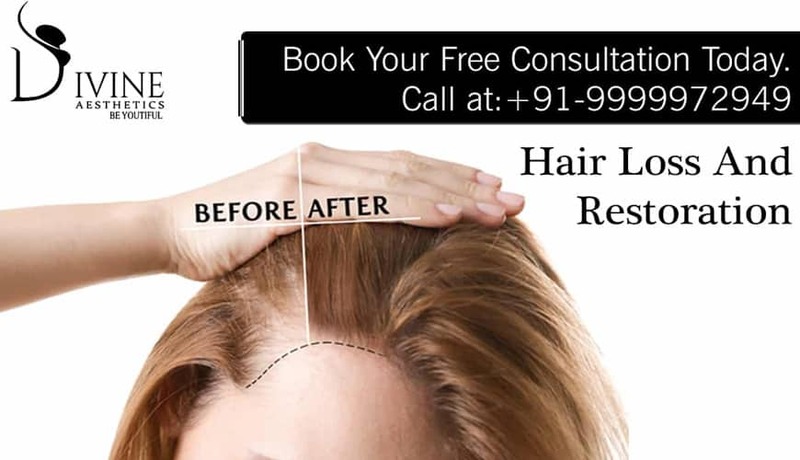 A Plastic surgeon or Medical Professional in Dermatology who have experience in best hair transplant clinic in Delhi NCR are allowed to do hair transplants. 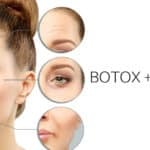 Note: In a city like New Delhi for example, a lot of clinics are actually run by MBBS, Homeopaths, Physicians & Dentist too – Always ask who is going to perform the hair transplant and ask for a DMC Degree Certificate (Delhi Medical Council) which regulates all medical activities in the city of Delhi and If a clinic fails to show you that certificate and then most often it is not a place run by a Doctor (Plastic Surgeon), Always try and choose a well experienced Plastic Surgeon in order to achieve the best of results. Day 0: The Procedure (The whole procedure is performed under local anaesthesia, which Means the patient is awake throughout the procedure and could be communicating with the surgeon and the team. Day 5-10/12: The transplanted area has the formation of scabs/crust which will fall off on it own between 8th -12th day from Day 0. Post 16 Days: The sutures used in FUT can be removed and if dissolvable there is no necessity to have it removed as it is designed to dissolve off on its own. 4th month onwards: The transplanted hair starts to grow and at an average pace of about 1cm/month. Dramatic Change: The dramatic change usually happens between 6th – 8th month and almost complete results are achieved between the 10th – 12th month and continues to get better up until the 18th month. Stem cells and dermal papilla cells have been discovered in hair follicles. Research on these follicular cells may (or) may not lead to successes in treating baldness through hair multiplication (HM), also known as hair cloning.